Today’s office-goers spend a sizable amount of time tied to their desks, working at their computers. In an attempt to improve our posture, and consequently our productivity, while typing, Hungarian company Ultimate Gadget Laboratories has come up with an ingeniously-shaped split mechanical keyboard that can be customized in a number of ways, depending on the preferences of the user. 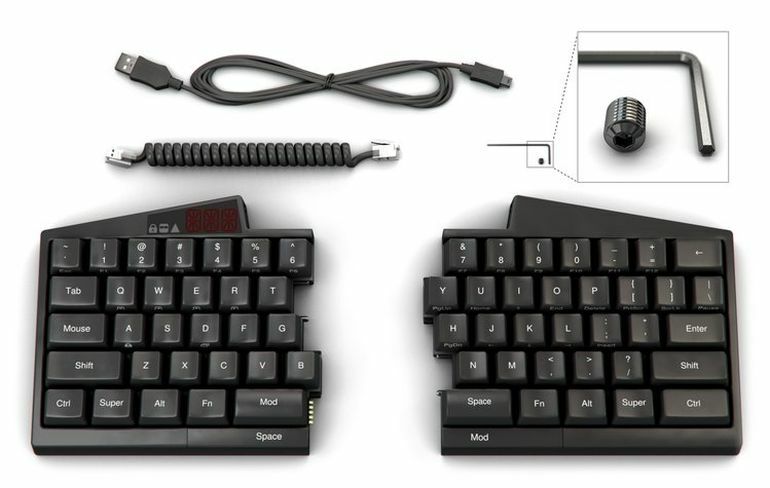 Aptly dubbed as the Ultimate Hacking keyboard, the contraption can be split into two halves for a more natural typing posture, while mechanical Cherry switches, commonly present in typewriters, make for a comfortable typing experience. 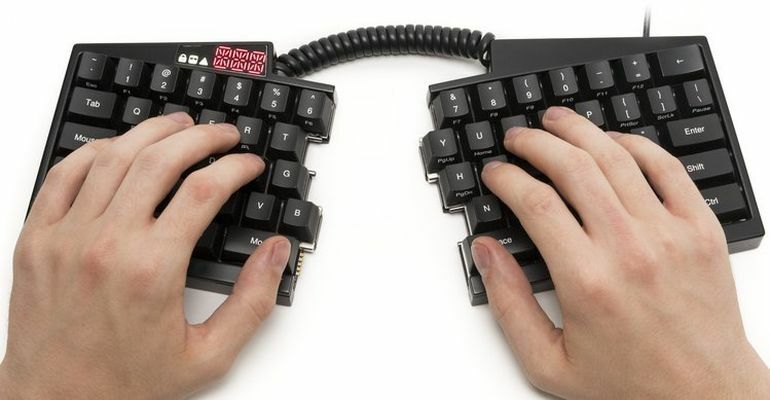 Held together by an expandable bridge cable, the two halves of this USB keyboard allows the user to type, without having to move his or her hands from the middle row of keys. What is more, the two parts can be easily connected to form a compact, one-piece keyboard. While it does not have a separate number pad, the Ultimate Hacking Keyboard is equipped with several function layers, namely numpad, F keys, cursor control and mouse control (by reproducing touch gestures on tablets and smartphones). It comes with a variety of customization options. For instance, a specially-developed configuration app allows the user to create keyboard maps, in Windows, Mac as well as Linux. The user can also choose between blue, brown, red, black, clear and green switches, each of which has its own set of properties The blue switches for example, are ideal for touch typists, thanks to its incredibly tactile nature. The red switches, on the other hand, are non-tactile and super-smooth to press, and are meant for gamers. The product is currently up for crowdfunding at CrowdSupply, with prices starting at $200.